A team of Navy divers is in Funchal are preparing the final phase of the complex sinking operation of the EX-NRP Afonso Cerqueira. According to the Navy, at this stage, divers are responsible for defining and executing a plan of openings in the hull of the ship using explosive charges and then performing the first dives to ensure that the ship presents the safety conditions for be visited by the underwater community. 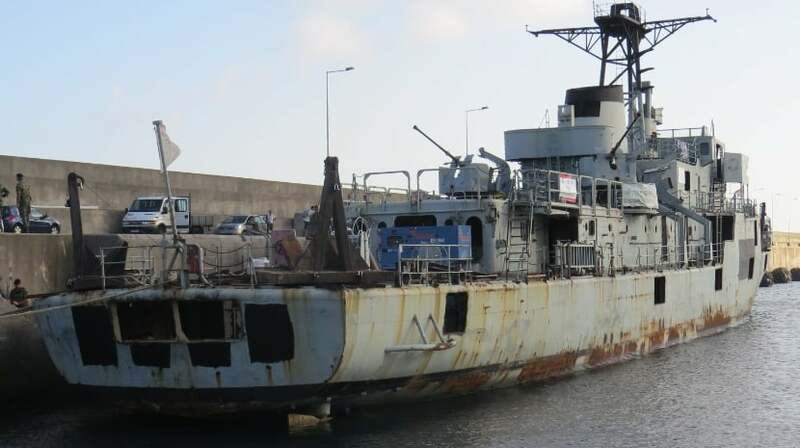 The sinking of the ship is scheduled for Tuesday, September 4, south of Cabo Girão, where the former NRP Afonso Cerqueira will fulfill its final mission, creating an artificial reef and providing a habitat for numerous marine species that will be the his last garrison. The former NRP Afonso Cerqueira (F488) was a corvette of the class “Baptista de Andrade”, of this class is still in the active the NRP João Roby. The old corvette Afonso Cerqueira entered the service of the Navy on June 28, 1975. The operational life of the ship ended on March 11, 2015 with the lowering of the national symbols.